Over the past twenty-five years A. H. Almaas—widely recognized as a leader in integrating spirituality and psychology—has been developing and teaching the Diamond Approach, a spiritual path that integrates the insights of Sufism, Buddhism, Gurdjieff, and other wisdom traditions with modern psychology. 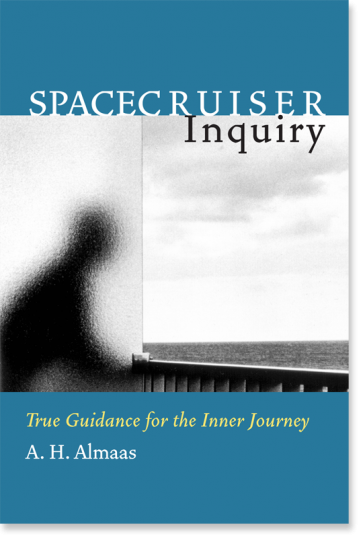 In this new work, Almaas uses the metaphor of a "spacecruiser" to describe a method of exploring the immediacy of personal experience—a way of investigating our moment-by-moment feelings, thoughts, reactions, and behaviors through a process of open-ended questioning. The method is called the practice of inquiry, and Spacecruiser Inquiry reveals what it means to engage with this practice as a spiritual path: its principles, challenges, and rewards. The author explores basic elements of inquiry, including the open-ended attitude, the focus on direct knowledge, the experience of not-knowing, and the process of questioning. He describes the experience of "Diamond Guidance"—the inner wisdom that emerges from our true nature—and how it can be realized and applied. "Almaas is one of the most significant voices for a new and remarkably integrated spiritual vision. His work connects the personal, the universal, the psychological, and the spiritual not as pieces to put together, but as the inseparable mandala of the sacred that we are." "Readers of Almaas' previous books will not be disappointed. This new work is intended as a practical guide to applying the methodology of the Diamond Approach to personal inquiry. The true power of this book lies in its ability to address 'a part of us that does not inhabit the words in our mind but lives disguised in the varied content of our life.' "